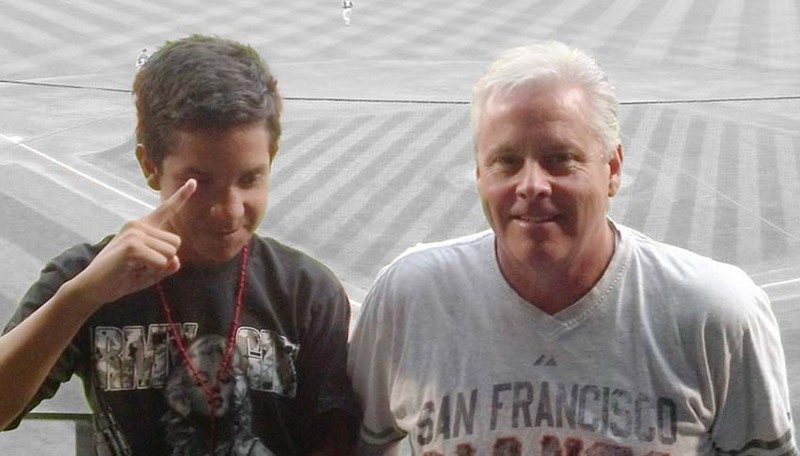 For the past five years, Big Brother Ron has been a steady role model in Horacio’s life. They throw the football around, attend Minor League Baseball games, and fold and fly paper airplanes in the park. Ron talks to him about the importance of getting good grades, and how that will help him fulfill his dreams. Being a Big Brother is not always easy. One day when Little Brother Horatio came home drunk and high, his mother’s reaction made him worry about how his Big Brother would respond. “My mom was very worried about me and was sad to see me that way,” Horatio says. He even went to his match support specialist to talk about his poor choices before explaining what happened to his Big Brother. “Ron and I talk about anything, including my poor decision-making,” Little Brother Horacio says. He says he stopped drinking and using drugs, and is motivated to do better in school. “I want to bring my grade up to at least a B and do well in school, not only for me, but also to make my Big Brother proud of me,” he says. As Horacio has worked to make better choices, Big Brother Ron has been there to support him. “Thanks to Ron, Horacio has stopped using illegal substances and has done a great job at avoiding gang involvement and other risky behaviors,” Horacio’s mom says.